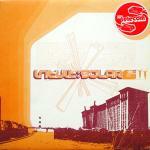 Japanese Telecom first announced itself to the world in 1999 with a self-titled mini album on the Detroit label Intuit Solar. It would be issued on CD the following year with some remixes as bonus tracks. Certainly it was the work of Gerald Donald even though there is absolutely no credits to its authorship, which is surprising as by now he had begun to use his beloved Heinrich Mueller pseudonym and you would expect him to have used it at every opportunity from this time on. However on this and its follow up, 2001’s ‘Virtual Geisha’, all personnel credits are absent. Given also that the sleeve used here is the generic Intuit Solar one of the time, albeit well designed with a nice cut out, there isn’t much information here beyond the titles and music to go on, just the way he wanted it! As far as the name Japanese Telecom goes it does have a resonance with his history previous to this point. Donald's interest in Japan first revealed itself in some of the subject matter of the 1995 Flexitone project with Ectomorphs Brendan M Gillen (see the AKA article for more on this). His interest in electronic communications tangibly appeared about the same time with Dopplereffekt's ‘Cellular Phone’. Taking the name and the artwork (2 phone connections in a ying/yang configuration?) alone you might be forgiven for expecting an album specifically about Japanese communications but actually that album would eventually appear three years later as Arpanet’s 'Wireless Internet'. So to some degree the name Japanese Telecom is misleading and perhaps a sign that Donald had plans for this project that weren’t realised or it just simply went off in another direction after the name was committed to. So I suppose it's worth considering that Japanese Telecom may be flawed conceptually if not musically. On this topic the following additional text not found on the album was featured on the Intuit Solar website. 'Telecom continues to trek down the path of Nipponese technology with second project, the first was the introduction and the second concludes the vision. Japanese technology continues to influence our daily lives directly and indirectly and this music reflects the influence of this fascinating and progressive culture. On this version of Telecom the social and human side of culture is explored and visualized sonically. We hope that the interfacer of the music will feel the speed of the bullet train, the beauty of Fuji and the historical mission of the Asian race collectively...'. From this we learn that they see themselves as Telecom and this does perhaps become apparent looking at their logo which has each word in a very distinct typeface from the other. This may mean they might have been conceiving of a string of Telecom projects eg. German Telecom, Dutch Telecom etc. Not a bad idea if this fascination with the communication technologies of particular countries was to continue with only perhaps the use of British Telecom becoming an issue of copyright. I'm also confused by this text as to how this is the second part of the project, although it may have been written referring to the yet to be released 'Virtual Geisha' as the second which would make this the first. This would make sense as an introduction I suppose with 'Virtual Geisha' concluding the vision. So far there has been no more releases under this name and after almost 7 years it seems likely that it won't be reactivated, at least not with the Japanese prefix anyway. The word telecom did appear as an email to contact Dopplereffekt on the 'Gesamtkunswerk' album but I think it unlikely that Dopplereffekt as a whole was seen as the first introductory part of this 'Telecom' project, even less likely that it would be Der Zyklus. Anyway the text may not have been added to the Intuit Solar site till well after the first albums release. Although to confuse matters 'Virtual Geisha' did not even come out on that label, Gigolo would get that honour in 2001, but it appears they did have to license it from them so I guess Intuit Solar had the rights to it even though they didn't actually release their own edition of it. The confusing waters of global independent music. A misleading picture of the ‘group’ with black strips across the eyes can also be found on the site and is reproduced here. Perhaps Japanese Telecom was a collaboration with a female, certainly we are being given the impression that it was a group effort, a gender balanced one at that ala Dopplereffekt! This might have become more of an issue with the follow up which must stand as Donald's most fully realised sexual themed album yet, but more on this when I get to it. But from the text we get the message loud and clear that this is all about Japan, specifically the technological breakthroughs of the Nippon corporation. We also learn that Donald also sees Japanese culture as ‘fascinating and progressive’ which could be seen as making a criticism of his own. There are 7 tracks here, the short opener ‘Rising Sun’ kicks of proceedings. Musically the track is dark with a slow bass line, a few noises and not much more, the classic short intro track. The title ‘Rising Sun’ is obviously very Japanese and makes a positive statement as the lead track of the album. Many people refer to the album as 'Rising Sun' as well. Next up is ‘Japanese Animation’ which in my opinion is one of the best tracks on the album. A very playful and jaunty cut with a computer game vibe throughout. Laid on top of the same mid-temp backing the track sort of goes back and forth between some really cool atmospheric sounds and then a more insistent computer game level jumping part. When I have used the term ‘busy production’ in the past I use it to mean there’s a lot going on and that is certainly the case here. The next track is short and very incomplete and maybe this explains why it is not titled. It’s definitely a great track in waiting. When the album was reissued on CD the following year a title was obviously needed and it became 'Asian Amazons'. This title refers to Asian female body- builders like these. Does he have a sense of humour, enough said! The previous fascist imagery used in Dopplereffekt does tie in here to some degree with Japan obviously allies of Germany during World War Two, both states having shared a similar ideology. The picture in the artwork of the guy operating at some telephone exchange is also clearly a Japanese solider circa WW2. Donald, as an American, is here still allying himself with an old enemy and is obviously still very concerned with race and which is superior. Of course we all make up the whole and in a perfect world this would be accepted by everyone and should at this stage be self evident in everyday life. Particularly it must be said in Donald's home country of America, a country made up of immigrants from every member of the human race. While a more obvious and tangible expression of these individual races can only be found in their own countries and regions it seems a shame to me in the age of globalisation to limit any artistic exploration of it to just its native version as Donald in this case has. Just a thought, ‘just trying to plant seeds’ as the comedian Bill Hicks would say, himself another artist whose ultimate concern was evolutionary. But it’s only music after-all, the information given limited to a title and nothing more, he wasn't writing a thesis on the subject, you can leave that to me! Finally on this subject of Donald's sensitivity to race it must be said that as a white European I have never experienced any discrimination against me because of my race, but Gerald Donald as an African American might well have and race would therefore have become an issue for him. How he has dealt with that through his music can only really be understood by no one but Gerald Donald, while I can only ever speculate. ‘Character Maps’ is another computer game sounding track which cracks along at a fair old tempo. Whatever type of game Donald had in mind here there is a lot of running involved , the paranoid and relentless sound of pursuit. 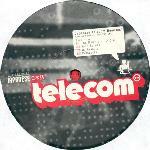 This track was later remixed by Perpects and appears to have got the thumbs up from the fans as the best of the 4 mixes on Intuit Solar's 'Japanese Telecom Remix' 12". The other remixes were from The Man From P.A.C.K. aka I-F, John Selway and DJ Assault, later all but the DJ Assault one collected on the CD version of the album. I spoke with John Selway a few years ago and he mentioned that this remix was a favour he did for friends who were starting a label. The final track on this side is ‘Game Player’ which again is short and could almost be the classic generic game intro or theme track. It strikes me that if he had done this album on a game boy he would have been well ahead of the pack, a whole genre for this of course exists today. Regardless of how it was made, this album could very much be seen as a precedent to that genre. Also it’s worth considering that by this time Derrick May had done the music for a Sony Play Station game about this time and perhaps this was Donald’s reaction towards/against that? Side 2 very much moves into another territory than computer gaming. ‘Nipponese Robots’ has a huge sound and is dark and somehow oppressive. This could decimate a dance floor if dropped at the right moment. Actually reminds me of the very earliest stage of Drexciya, the two tracks on side one of ‘Deep Sea Dweller’ which were aimed squarely at the dance floor come to mind. Some nice double beats get thrown in towards the end which shows this was done live and not sequenced, revealing the secret of their, Drexciya and Donald's, production style if not their sound. Another dark track next, the stop start ‘Kubi’. Some really strange sounds here over a classic almost dated sounding beat but in saying that you’ve never quite heard anything quite like this before. This track is alive and again certainly done live so watch out, it has teeth! Kubi in this context most likely appears to be referring to Japan’s Samurai warriors. The scatter gun ‘Bullet Trains’ is next and brings the album to a close perhaps on a bum note but a note nonetheless. It’s just that it kind of doesn’t go anywhere and is a bit throwaway to these ears but according to the notes from the website we should be imagining this as the sound of a bullet train. Basically on this album we do get an introduction to Japanese culture which specifically references its computer gaming, the production line robots of the technology giant Nippon, its comic books and its famed bullet trains. A selective introduction for sure, as a short mini album can only be, but it is certainly an enthusiastic and genuine homage to this world and its culture. I wonder if Donald ever got to visit Japan for himself or was it a fantasy fuelled from his own imagination and second hand knowledge? Our imagination/fantasy of something unknown is a powerful thing, just witness our impressions of the, itself a fantasy, underwater world of Drexciya and what we imagine the lives of its creators being. Once real life gets in the way of these fantasies however illusions are not always shattered and bubbles burst but sometimes when reality and fantasy meet at an individual point of truth our expectations can even be exceeded. To test the waters and reach this point of knowledge is the key to developing a depth of understanding of a subject. I would say that if Donald had gotten to experience Japan himself he would not have been so concerned with these very much surface elements which we get here, almost clichés of Japanese culture, but given us more depth and insight which only experience could have brought him. Different cultures get misunderstood and reinterpreted all the time in all art forms and these misunderstandings will be kicked back and forth between cultures forever. Just think about it that’s all I'm saying and I believe that Donald has if you look at his more recent albums which are far more studied than before. For example the promised theme of Japanese communications technology here would be followed up much more specifically with the already mentioned first Arpanet album in 2002. But if this debut as Japanese Telecom is flawed then give me more of this type of confusion. Another 2000+ words expelled on an artefact I never thought I would be able to find so much to say about. The DRL MySpace site is going great, thanks for joining and the nice comments so far. What is next will be next. great review of a fantastic mini-album ; not sure about the WW2 connections, loads of westerners have interests in japanese culture (but yes, detroit industry did suffer a lot from japanese technology during the 80s). Perhaps Dopplereffekt's Fascist State was the first "Telecom" project - with tracks like Cellular Phone [more telecom], Scientist [technology], Technic 1200 [with it's choppy, video-game-on-crack Speak & Spell vocals] and Superior Race [WW2-era fascist Japan].